Start reading Follow Me Down on your Kindle in under a minute. Reading Julie Hearn's first novel for children is a fascinating experience. Inventive and well-researched, Follow Me Down spirals from modern times to the historic, from the grotesque to the life-affirming, from thunderingly exciting to painfully dramatic, all the while putting its lead character, Tom, on an emotional roller-coaster in two very different dimensions, in ways that are at times hard to digest. Tom and his ill mother, Catherine, are visiting East London in the modern day to stay with his gran near Smithfield Market. It is an area rich with the sort of history that Tom never ever expected to experience for himself--until he wanders down into his gran's basement and is transported back, somehow, through a "gap" to the 18th century. Here he meets a group of people who are commonly displayed as freaks at the Bartholomew Fair: Machi Twist, the Bendy Man, and the Gorilla Woman. Strangest of all is Astra, a tiny child who Tom is determined to save from her unfortunate circumstances. It is also a time when doctors trade in the sinister acquisition of bodies to experiment on--with Tom's new found "monster" friends all being prime targets. It's exciting stuff, but with very dark overtones indeed. Tom is able to help his friends with their terrible problems but at the same time he faces the realities of his own shattered family life. Ultimately, he learns to look beyond appearances. 4.0 out of 5 starsbut I liked it. Well-written, but a bit slow to start. The characters are engaging though, and there's one scene that actually made me laugh out loud. The ending was a bit confusing, but I liked it. Enjoyed it immensley. Very different. Went on to read all the others I could find. The Merrybegot is also good. I like the way the author writes. Addresses issues of mortality and sickness, human frailty. Seeing that the 'giant' Charles Byrne might be finally buried at sea reminded me of this book, which has a giant character who fears that he will be dissected and exhibited. 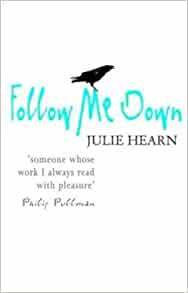 Follow me Down is a great story - moving and funny and engrossing with a great cast of characters. In the eighteenth century a cast of 'Monsters' exploited as freak shows and the people who exploit and abuse them, and in modern times a boy dealing with his own problems who finds the compassion and strength to help them. This is a wonderful tale, extremely original and full of great characters. It involves the reader in real modern day issues with Tom's mother and grandmother, and takes us back in time to some fascinating and unusual issues and characters of the 19th Century. The 'freaks', Astra, Malachi Twist, the Gorilla Woman and the rest of them, truly come alive for us, and their stories, sometimes very funny, sometimes sad, build up to a really exciting climax. Highly recommended! 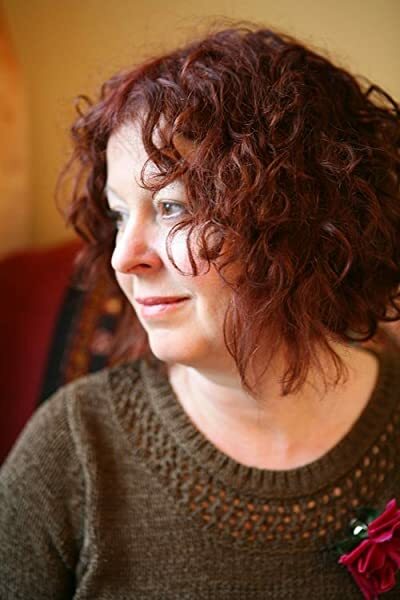 Julie Hearn first became known in the United States in 2005 with the publication of her highly successful, brilliantly plotted historical novel THE MINISTER'S DAUGHTER. Now American readers can indulge in Hearn's first novel for young readers, originally published in the United Kingdom in 2003. Although SIGN OF THE RAVEN lacks some of the plot twists that made THE MINISTER'S DAUGHTER so provocative, it nevertheless is a thought-provoking, exciting historical novel that will appeal to fans of Hearn's other fiction. Twelve-year-old Tom and his mother, who's recovering from breast cancer, are spending the summer holidays at his grandmother's home in East London. Tom has a bunch of problems; on top of his mom's sickness, he has to deal with being away from his friends and trying to figure out the tense relationship between his mother and grandmother. And then, the voices in the basement start calling to him. The voice, which seems strangely familiar to him, calls from across a gap in both space and time. The voice belongs to Astra, a tiny "changeling child" who's one of the circus "freaks" on display at the Bartholomew Fair in the early eighteenth century. Astra and her friends, like the Bendy Man and the Gorilla Woman, are constantly in peril, not only from the unscrupulous management and the fair's patrons, but also from physicians who would love to dissect their unusual bodies and perform experiments on them. When Tom is called across the gap, he is drawn into London's dark underbelly to help his friend. In the meantime, in the present day, Tom is finding out troubling secrets about his own family's history. SIGN OF THE RAVEN is creepy, evocative and detailed as it portrays events of history, often in earthy and surprisingly straightforward terms. A mystery, a time-travel fantasy, a historical novel with modern-day appeal: SIGN OF THE RAVEN's fast pacing and vivid recreation of gruesome past events will appeal to fans of many different genres. What a creepy book! But the characters are very real. You want them to succeed in their "escape plan." Tom is the kind of kid that you'd want in your family and yet so typical of his age. Rarely has anyone read a book concerning the terrible conditions that circus freaks must have lived under, and I'm not sure many people have thought about it. And, having not heard of Julie Hearn before, I'm looking forward to finding "The Minister's Daughter" in our library. This novel is a fine example of a well planned story, it takes you to several different times, and spaces without losing grip of the story arc. For us non british readers, brings us closer to the smells, noises and ways of English people, and gives everyone a glimpse of worlds as magical as J.M. Barry used to imagine, but with a sour lemon twist that makes us remember the low and dirty streets of the novels by Doyle. Gaze at "follow me down", remember that there's always something down in the basement. 5.0 out of 5 starsAhhhhhmazzzzzzzzzing Book!!!!!! read this book for a school report and loooooooovvvvveeeddddddd it!!!!! The plot is intricate and beautiful and the characters are extremely well developed! Any avid reader who thinks they've read everything in the world deserves this book!